Renisha McBride, a 19 year old Detroit native, was killed after allegedly knocking on a door of a local home following a car accident at 2:30am. She died of a gunshot wound to the head. Is it just me or have we told a similiar story? Oh that's right. This sounds very similiar to the tragedy involving former FAMU football player Jonathan Ferrell who was killed by a police officer after he sought help after a car accident. 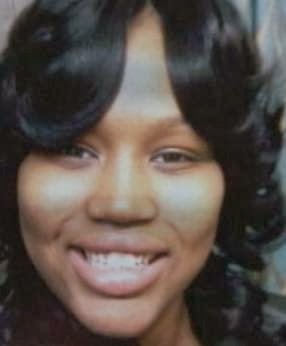 The family of Renisha McBride, 19, said she went for help after a car accident around 2:30 a.m. Saturday. She died of a gunshot wound to the head after knocking on the door of a home on the 16000 block of Outer Drive near Warren in Dearborn Heights, near where the accident occurred. Her cellphone battery had died, her family said. Few other details about the incident have been released by the Dearborn Heights Police Department. “Dearborn Heights (has) identified the person who fired the shot and killed the woman,” according to a press release. The statement added that a final report on the shooting will be forwarded to the Wayne County Prosecutor’s Office for review in the near future. McBride’s maternal aunt, Bernita Spinks, said the shooting was not justified even if the resident believed McBride was an intruder breaking into the home.